You may print out this application and fill it out before coming to the Sheriff's Office. You must bring a valid photo ID and the appropriate fee. Pistol Purchase Permits are $5.00 each to apply. You can also download the application here. You must have Adode Acrobat Reader installed in order to view, open, and print this online application. Paper applications can also be picked-up at the Sheriff's Office. Pistol permit applications normally takes 5 business days to complete. 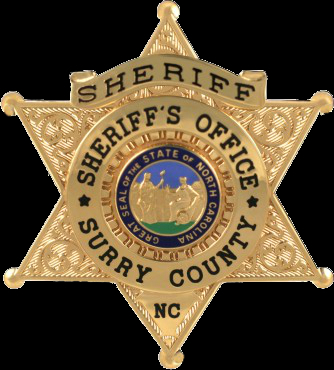 Be a resident of Surry County. Includes a finding that the person represents a credible threat to the physical safety of the intimate partner or child; or by its terms explicitly prohibits the use, attempted use, or threatened use of physical force against the intimate partner or child that would reasonably be expected to cause bodily injury. Must not be under an indictment or been convicted in any state, or in any court of the U.S., of a felony. Must have been a citizen of the U.S. and/or have not renounced his or her citizenship. Must not be an unlawful user of or addicted to marijuana or any depressant, stimulant, or narcotic drug, or any other controlled substance. Must not be adjudicated mentally incompetent or ever been committed to any mental institution. Must not have been discharged from the Armed Forces under dishonorable conditions. Must not be in the United States illegally. Must have a valid photo id with current address information. This process may take up to five business days to complete. If there are items located on your record that require additional investigation, then your permit may be delayed. The Sheriff has 14 days to issue or deny the permit. Pistol purchase permits are $5.00 each to apply. You must have your driver’s license/ government ID with you when you apply and it must have your current address correct on it.